From all inclusive vacation packages to coupons, there’s always a way to save on your trip to Cabo San Lucas. Also, be sure to pick up the booklets that they hand out in the airport. They are often filled with many coupons and other deals. Scroll down and the best deals in Cabo San Lucas will be at your fingertips. Save up to 50% on Pueblo Sunset Beach Resort & Spa’s All-Inclusive Packages from now until January 15th, 2012. For a limited time if you book your flight and hotel together you can receive an additional 5% off the already reduced all-inclusive rate. 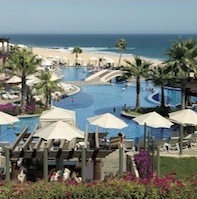 Pueblo Bonito Sunset Beach Resort & Spa is located in Cabo San Lucas, on the Pacific Ocean. Enjoy stunning views of pristine private beach with this special Cabo San Lucas deal. Our All About Cabo Coupons page has an extraordinary amount of Cabo deals including great savings for restaurants, lodging, activities, tours and more. And the great Cabo deals don’t stop there. Cabo San Lucas has a long list of promotions available as well. Click on our promotions page link to see how to take advantage of free giveaways and other contests which are always fun! 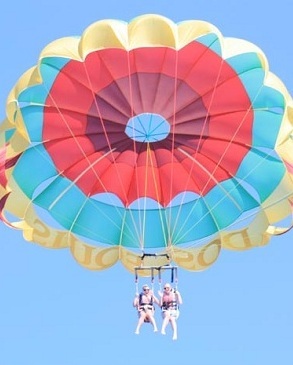 We offer a vast assortment of Cabo San Lucas vacation packages. Whether you are looking to relax in style at a Private Beachfront Villa, enjoy a Full-service Resort, or simply design your own unforgettable package, the choice is yours and the options for Cabo deals are endless. Here are some Cabo San Lucas deals that we have found. These are by no means the only deals in Cabo, but they are a good place to start! Book any activity online with Cabo Expeditions and receive 20% off your next activity! Print this coupon to save 15% off your meal. Print this Coupon or mention All About Cabo while dining there and receive a free bottle of wine with the purchase of 4 entrees! Book your Cabo Swim with the dolphins experience and receive 15% off of the total price. The offer is valid for programs booked in March, but redeemable year round. This Promotion only applies to Call Center and Online reservations, and does not apply with other promotions, packages, products, discounts and services. and breakfast at Baja Peppers (One per person, per day, with a min of 3 nights. (Choice of: All American Breakfast, Waffle or Pancake Breakfast, Fruit Plate Breakfast, or Huevos Rancheros Breakfas). Make sure to inquire about each at the front desk to receive benefits. Weekend Stays in Fairfield Los Cabos Including Breakfast, Dinner, and Late Check-out! 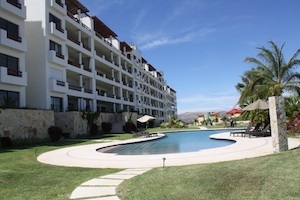 This offer is for 5 days/4 nights at the Cabo Azul Resort for $449. You save $951! Cabo Azul resort, on the beach of San Jose del Cabo, invites relaxation and entertainment. Click these links to get more information about the offer.